In her dazzling debut single, Quelle Rox explores the tension between the fantasy and reality of the relationship she’s in. When talking about her inspiration for the song, she says: “In a dreamworld, me and this other person are beautiful, like rhythm and blues. Outside this dreamworld, the reality was that this person just made me blue.” It’s a feeling we can all relate to: Letting our fantasies and desires project false illusions onto our experiences and relationships. Atwood Magazine is proud to be premiering Quelle Rox’s debut. On “Blue Rhythm,” we face the disparity between fantasy and reality together with Quelle Rox. “Music has always been my therapy, my outlet, and my vessel though which I process my emotions and turn my hardships into art,” the artist explains. Although these lyrics detail her experience with another person, they also function as a simple ode to her personal artistic process. She takes the monochromatic sadness given to her and turns it into kaleidoscopic art. Nothing about this song is trapped inside the blue that inspired it. 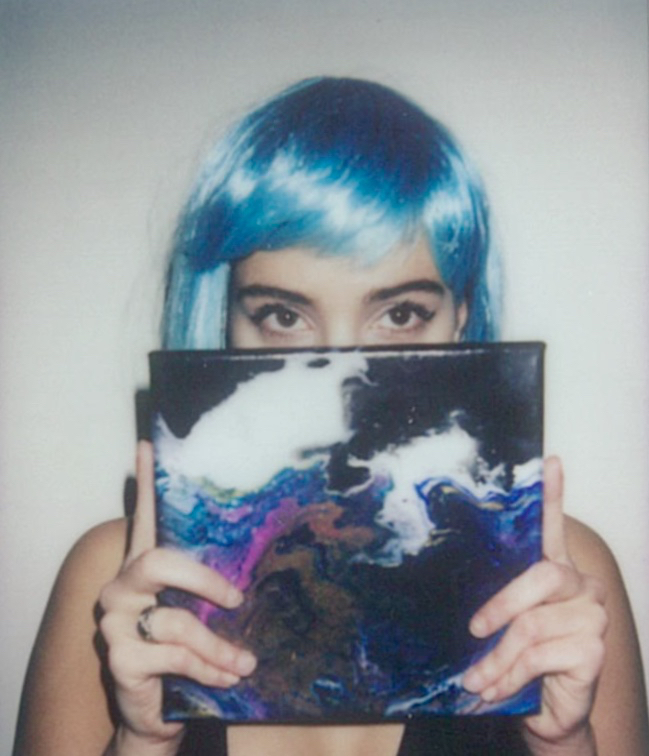 Quelle Rox uses her artistry to infuse her life with color again after she was consumed by blue. 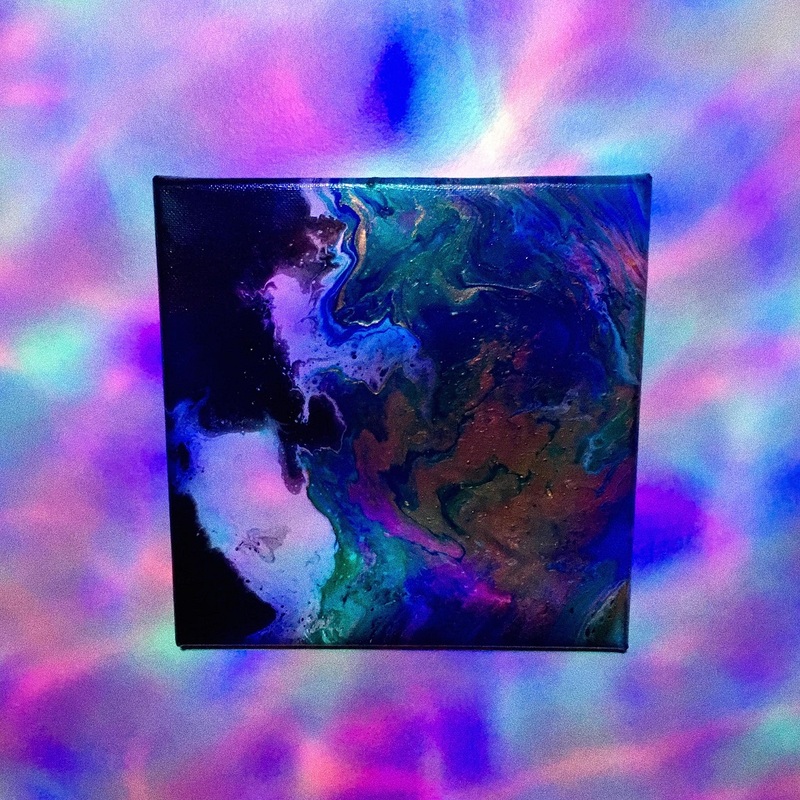 The single’s artwork reinforces Quelle Rox’s ability to paint her life in different colors. It is bright and full; blue is present, but it is only one of many colors. Her sadness, while an important piece, will not define her whole self. Quelle Rox tells us she likes to write alongside her “trippy lights” and that aesthetic translates into both her music and her artwork. This outstanding piece of art demonstrates Quelle Rox’s talent as an artist. She has an incredible vocal range that is best demonstrated in the repeated “you”s that she sings throughout the song. But what makes this single even more impressive is that Quelle Rox is entirely independent. On why she chooses to go it alone, she says: “Having complete artistic control of my music is very important to me, which is why I love being my own songwriter and producer. Although each track takes more time and effort, being this involved in my music allows me to represent my mood and ideas in the purest form. This is particularly important to me as a woman in an industry largely dominated by men.” Having complete control over her artistic endeavors allows Quelle Rox to guarantee that her art remains hers, and hers alone. She does not answer to anyone, and that provides her with the freedom to make unfiltered, unapologetic music. And it sure pays off. To release a debut single that is so evocative and so seamless is quite a feat, especially considering Quelle Rox is a solo project. Her love may bring her the blues, but she sure brings the rhythm to her music. We at Atwood are very excited for what colorful worlds she will expose us to next.